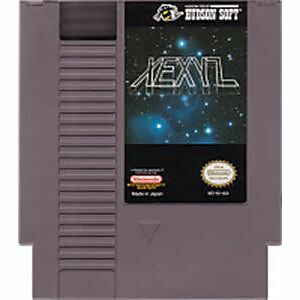 Xexyz original NES Nintendo Game cartridge only - Cleaned Tested and Guaranteed to Work! 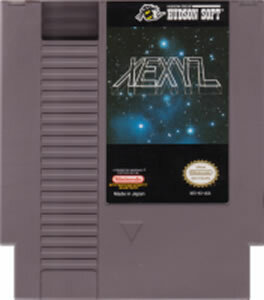 NES hard means NES fun! 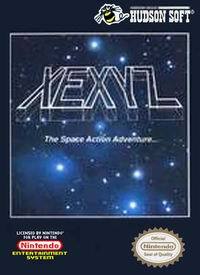 If you enjoy games like Contra and Kid Icarus then you'll enjoy Xexyz. Unlike either of those games, Xexyz has unlimited continues and a password system, so it isn't nearly as agonizing to keep playing stages over and over. I was able to power through it within a couple days worth of free time because of this. The game actually plays very similar to Kid Icarus; stages are mixed between platforming and shmups. Certainly a forgotten gem for the NES. Xexyz is a very fun and unique game! It features fun side-scrolling levels as well as shooter ones. The levels, bosses, power ups were great additions to this game. it's and underrated gem and I very much recommended it to any NES gamer. Minus some partial slow down and cheap moments. With a name like "Xexyz", how can you resist? I bought this game based on name alone, without looking up the details of it, and boy, I was not disappointed. The game feels like a mix between Gradius and Zelda 2. It's mostly a side scrolling platformer featuring odd monsters/aliens that are fun to look at. You also had shoot-em-up stages, and every level ends with a really cool looking boss in a shooting showdown with you. Its a very big game with lots of levels and a simple password for you to continue on your journey. It has its minor problems and monotonous moments, but those are few and far between. Still, a game you should seriously consider if the name hasn't already drawn you in.